Leagoo opts on the in-display fingerprint trend with its first smartphone to sport the feature. 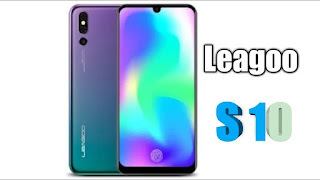 The Leagoo S10 comes with a nice display somewhat resembling a high-end smartphone but is, in fact, a midrange smartphone infused with nice specs. There are features like wireless charging, quick charge, large colourful and bright display all present to make the smartphone more appealing. All indications make this smartphone somewhat a mid-ranger laced with some high-end features. Here is a peek into what Leagoo:s first in-display fingerprint smartphone is like. As expected, the smartphone comes with a fancy build made of glass on both side and a shiny aluminium frame in the middle. The design of the smartphone does appeal to the eyes with the reflective nature of the glass. There is a notch on the display with a bezel at the bottom and in-display fingerprint scanner. At the back, the camera which is recessed in the back as a flash on each side. Also, you’ve got the gradient design at the back of the phone which sure add more beauty to smartphone. The display end is held down by an AMOLED panel that does the good work of showing deep black and radiant colours. However, it is important that it has an AMOLED screen, considering the in-display fingerprint feature requires this type of panel. That aside, the smartphone also comes with a 6.21-inch sized display and has a notch on top. And there is a worthy 1080 x 2246 resolution on the display too. The smartphone does well on the battery side with just about enough juice inside to keep things up and running. There is the battery labelled with a 4, 050mAh capacity which is more than okay for the daily tussle. As mentioned earlier, the smartphone also has wireless charging capability and a USB Type-C port for charging too with fast charge support. Optics on the smartphone is kick-started with a two-man sensor at the back flanked by a LED flash on the sides. Up in the notch is an AI incorporated 13MP camera for taking pleasant selfies worthy of social media upload. Looking away from you is the 20MP f/2.0 aperture camera combined with a 5MP sensor at the back of the phone. 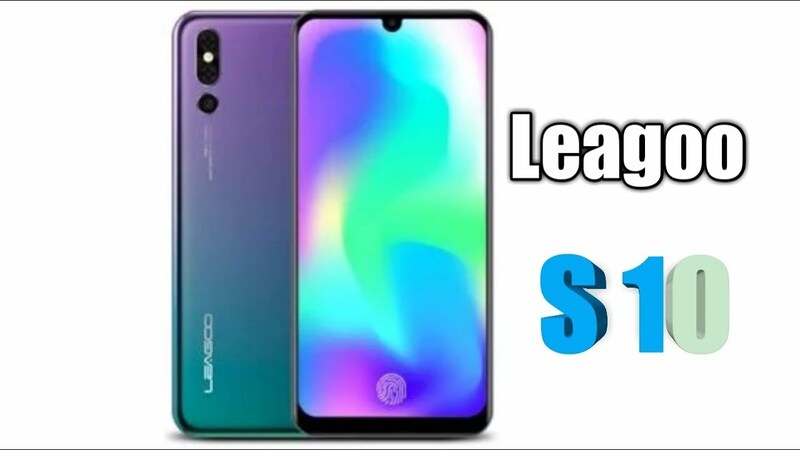 Furthermore, the Leagoo S10 garners power from a MediaTek SoC with eight cores count. The Helio P60 processor handles things very well for a mid-ranger even if it’s not the best at this level. Concerning gaming and other graphics related issues, there is Mali-G72 MP3 GPU clocking at 800MHz. Performance is increased with the 6GB RAM on board and plentiful storage space of 128GB with an additional 128GB memory card extension supported. You will get an Android Oreo on the phone with Leagoo’s customization added. The smartphone costs around 120, 000 Naira depending on the deal and your location.